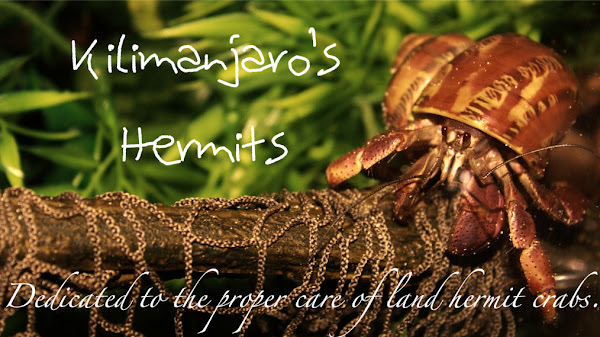 Kilimanjaro's Hermits: An Anniversary and ELHC Crabs! An Anniversary and ELHC Crabs! Today is the anniversary of three of my crabs, the Indos. Toro, Indi, and Aria will be celebrating their one year mark with me! And to celebrate their anniversary, eight new crabs have started their lives in the 55G! My order from ELHC (http://www.exoticlandhermitcrabs.com/) came in the mail today. The order came around 2:34 and I was very excited to open the package! All of the crabs came in different tupperware containers taped together. Upon opening them, you could tell they were well treated before. Bob at ELHC does a great job caring for these crabs. None of them were shy so all were gender ID'd and named. All of the new members are currently enjoying their new home!